You take great care to keep your engine and drive-train maintained, so why wouldn’t you take that same care to preserve its appearance? Your car is one of your most prized possessions, so keeping it protected is vital. 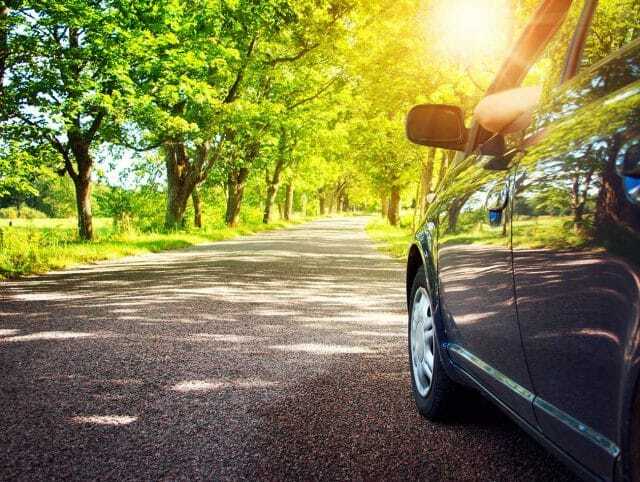 Your vehicle will retain value and you get to enjoy peace of mind. Paint Protection Film, also known as Clear Bra or PPF, is the only true solution to preserve your factory finish. 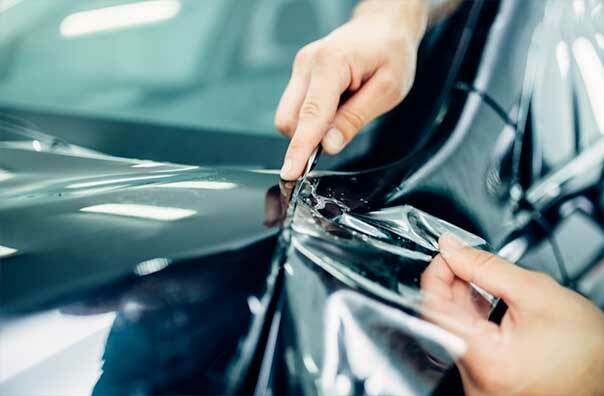 It is a crystal clear, self-healing film that can be applied to any painted surface of the car, typically the front nose and impact prone areas of the vehicle. PPF protects from driving damage and exposure to the elements such as rock chips, sand and salt abrasion, scratches, swirl marks, bug stains, bird droppings, and even calcium deposits from rain. Few brands are 100% committed to protecting your automobile like Xpel is. They have focused all their resources, time, human capital, and research in developing some of the most innovative automobile protection products in the market and hold the highest quality standards throughout their entire production process, from design to distribution. All of this has made XPEL one of the most recognized names in the automobile protection industry and considered the pinnacle of paint protection film available today. Xpel ULTIMATE line of paint protection film uses special elastomeric polymer technology that allows the film to HEAL ITSELF from scratches or swirl marks in a matter of minutes. This proprietary self-healing top coat paired with its unmatched optical clarity, surface gloss, lack of “orange-peel,” sheer/puncture resistance and removability make Xpel Ultimate unmatched in the industry and set them miles ahead of competing brands. Every one of their patterns are created and handcrafted by a professional design team, then test fitted and adjusted until the template fits precisely to the vehicle. They developed the Design Access Program (DAP) Software to provide the most customizable and precise coverage in the industry. This allows us to offer products that fit the needs of our customers whilst eliminating unnecessary waste. All XPEL products are backed by an industry leading 10-year warranty. You have questions, we have answers. Learn more about the how's & why's and do's & don'ts of window tinting and protective paint films.